WhatsApp is set to add sticker pack on its messaging app. This feature is yet to appear on WhatsApp regular version on the Playstore but available on WhatsApp Beta version 2.18.218. According to @WABetainfo on Twitter, stickers are now available on WhatsApp latest Beta version. This feature is not new to us as many other popular messaging platforms already offer sticker packs, likes of WeChat, Facebook Messenger, Skype, Telegram, Allo, Line etc. 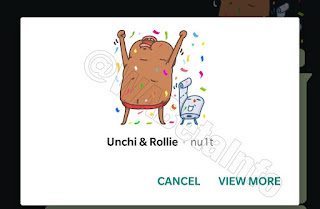 WhatsApp first announced that stickers were coming back in May during Facebook's F8 developer conference, but there's no official statement when this feature will get to the regular WhatsApp version. 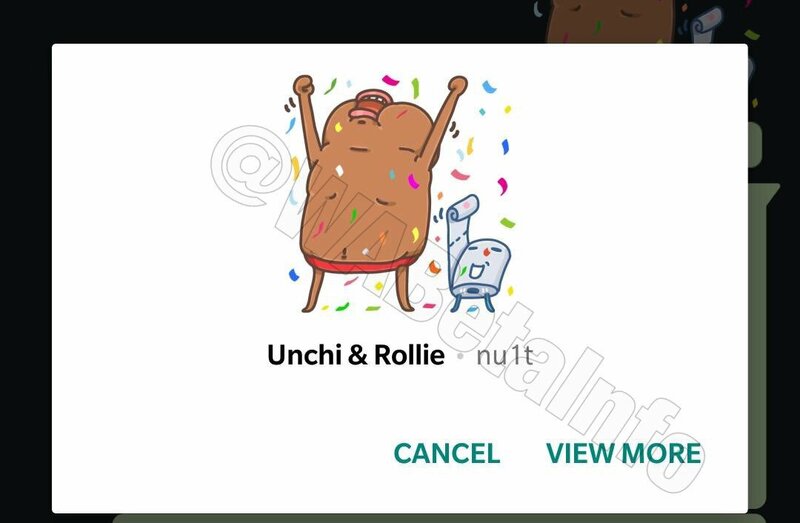 According to @WABetainfo, the tweet below confirms two unreleased sticker packs: Bibimbap Friends and Unchi & Rollie. However, there is no release date for when we might get them on the stable version of WhatsApp. Hopefully, the new sticker feature will arrive soon or later. Meanwhile, do you really care for stickers or would you rather just use emoji to express yourself? Thanks for the Post, I know that the WhatsApp improves everyday that's why it is best messaging app so far. Okay that's nice, but if that's the only change on this version, then for me, no need to update cause I rarely use those things.